If you plan to visit Venice soon, there is a good chance that you will land or take off from Venice Marco Polo Airport. Here are some useful tips to plan your transfer. To visit Venice, you will probably be taking a direct flight to the “Floating City”, before landing at Venice Marco Polo Airport. But how do you get from the airport to downtown Venice? 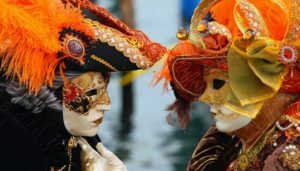 There are several ways to transfer from Marco Polo Airport to Venice. The best, cheapest, and often the fastest way is to transfer by bus, which we will present first. To begin with, the main international airport serving Venice is the Marco Polo Airport (VCE) and it is located inland, approximately 13 km from Venice. 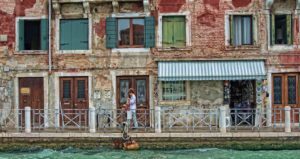 There are many options to get to Venice, either by land or by boat, and the price can vary considerably depending on the mode of transport you choose. 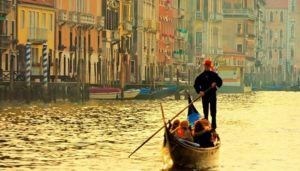 With a little planning, you can avoid beginning your trip on a frustrating note without spending too much on the transfer from Marco Polo Airport to Venice. There are two bus options to get to Venice from the airport: ATVO buses, which are run by a private company and offer €8 shuttles, and ACTV buses, which are public transport buses. ACTV buses run between Venise-Marco Polo airport and Piazzale Roma and cost 8 euros for a one-way ticket and 15 euros for a return ticket (new fares applicable since 2017). The fact that buses run every fifteen minutes makes them very convenient. The bus line from the airport to Piazzale Roma is line N°5 (lines N°15 and N°45 also work, see all timetables) and the journey takes about 25 minutes. ACTV buses feature luggage compartments, which are convenient if you travel with hefty luggage. You can purchase your tickets at the ticket machines located both at the airport and on the Piazzale Roma. ATVO express buses depart from Venice Marco Polo airport every 30 minutes and offer a non-stop express service to Piazzale Roma. One-way tickets cost 8 euros and return tickets are priced at €15. They can be purchased upon arrival at the airport at the automatic ticket counter in the luggage pick-up area or at the ATVO ticket office located in the arrivals hall. Alternatively, you will find automatic ticket machines located outside the terminal in the ATVO departure area where you will take the bus. For peace of mind, you can buy your ticket online in advance, on ATVO’s official website. Note that ATVO buses do not have luggage compartments, which means that you will have to keep them with you on the bus. The term “Water Taxi” immediately sounds like an excellent option, but it is by far the most expensive way to get to Venice from the airport. A classic water taxi (also called “motoscafo”) will take you anywhere in Venice for about 100 to 150 euros (depending on your destination and number of luggage). If you are a group of 4 or 5 people, it might be useful to share the journey. As with any taxi in Italy, and in order to avoid any frustrating surprises, you should always negotiate the price before boarding the boat. Note that one of our partners was able to negotiate a water taxi for only €32 per person. If you are travelling alone, the price will be the same because you will be sharing the trip. You can find out about water taxis at the taxi counter in the airport arrivals hall. The water taxi will pick you up at the same quay as the water buses. 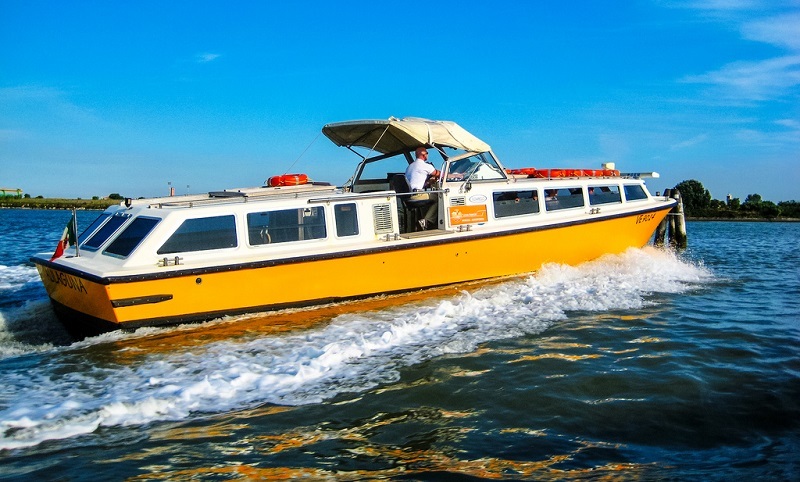 The two biggest advantages of the water taxi is that they will take you to the nearest possible place to your hotel, and save you time (the journey will not exceed 15 to 20 minutes). Alilaguna is the name of the public company that operates the water buses that run between Marco Polo Airport and Venice. Though it may seem like a useful alternative to the bus, keep in mind that the trip will take about 1:15. However, if you have time before checking in at your hotel, it’s definitely a pleasant option. A one-way ticket will cost you 15 euros and a round-trip ticket costs 27 euros (if you book online the fare is cheaper: €14 and €25). Alilaguna’s water buses are easy to spot because their lower half is yellow coloured. There are three lines that go to Venice from the airport. The Red, Blue, and Orange lines each have their own stops so ask before you buy your ticket. The Red line only stops at the islands of Murano and Lido, so you will most likely take the Blue line or the Orange line which halts at several stops in Venice. If your hotel is close to one of the stops, it will save you some time, as the terminus is Piazzale Roma. Tickets can be purchased in the arrivals hall at Venice airport and boats are about ten minutes walk from outside the airport (see the map at the end of this article). 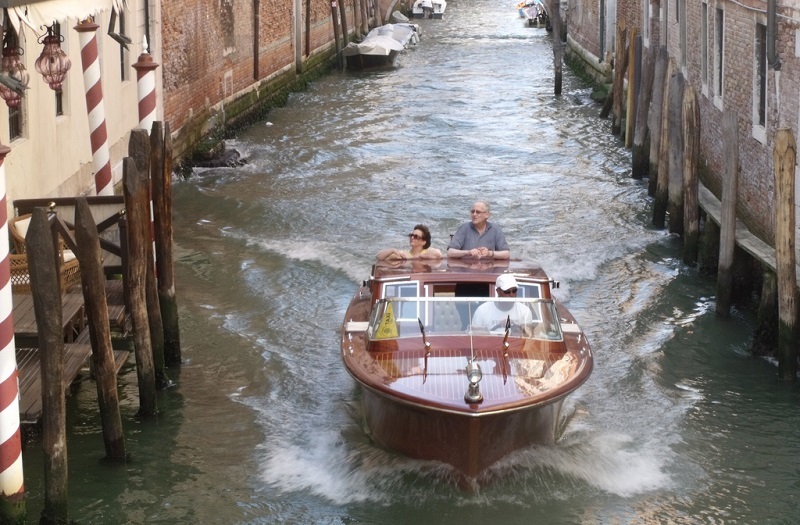 Water buses leave every hour, and remain affordable if you feel like beginning your stay in Venice with a boat trip. You can take a train to Venice, but this is not a recommended option for visitors arriving at Venice Marco Polo Airport as you must first take a bus to transfer from Venice Airport to Venice Mestre Station. From there you can take the train across the lagoon, but getting on and off a bus and then on and off a train is not the most practical solution. 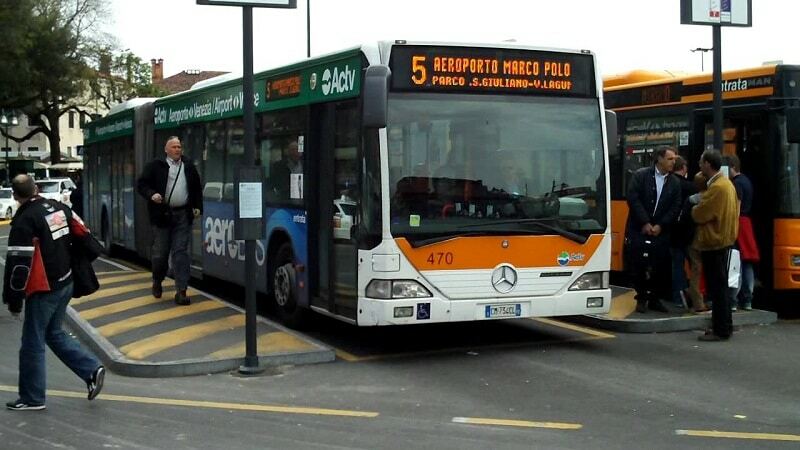 If you do choose this option, Marco Polo’s bus to Venice-Mestre station costs only 3 euros. 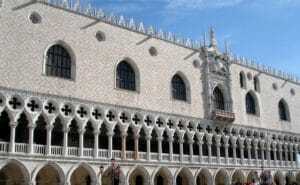 From there, you will have to add an extra €1 for the short train journey to the Venice-Santa-Lucia train station. Most of the time, airport-to-Venice transfers will take you to the Piazzale Roma. 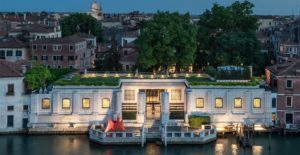 Depending on where your hotel is located, you will only have to walk or take the vaporetto (operated by the company ACTV), which are large bus-boats that sail on the Grand Canal. The cost of a 60-minute vaporetto ticket costs 7 euros, but if you stay in Venice for several days, it may be economical to purchase a multi-day card that offers unlimited use of vaporetti (ACTV Pass): for 1 day (€20), 2 days (€30), 3 days (€40) or 7 days (€60). All the transport solutions listed here also apply for the return journey, i.e. Venice > Marco Polo Airport. You have it wrong when it comes to buses from Venice Marco Polo airport to Piazzale Roma. ACTV buses do not have luggage compartment you have to keep them with you and ATVO has coach luggage compartment under the seating part of the bus. ATVO is a better deal for the same price.